Poland’s Legimi ebook subscription program offers users access to some 16,000 titles. In addition, the company offers e-readers to premium-level subscribers at a nominal cost of 1 zloty (US$0.26). Co-founding chief Mikołaj Małaczyński, who was at Frankfurt Book Fair, says the company has expanded its offer to Germany, and is anticipating widening its range to include China. “Legimi is currently available in Poland, our domestic market,” Małaczyński tells Publishing Perspectives. “The Chinese version of our service will be launched in early 2017. Germany is not only Poland’s largest neighbor, but also its main trade partner. Last year, exports of products and services to Germany from Poland represented as much as 27.1 percent of Poland’s foreign sales, according to data from the state-run Central Statistical Office (GUS). A large part of these exports to Germany is generated by manufacturing subsidiaries in Poland of German companies in the automotive, packaging, household appliance, and other industries. By that light, Małaczyński’s market expansion to Germany’s ebook market is an unusual example of a high-tech business venture by a genuine Polish player. 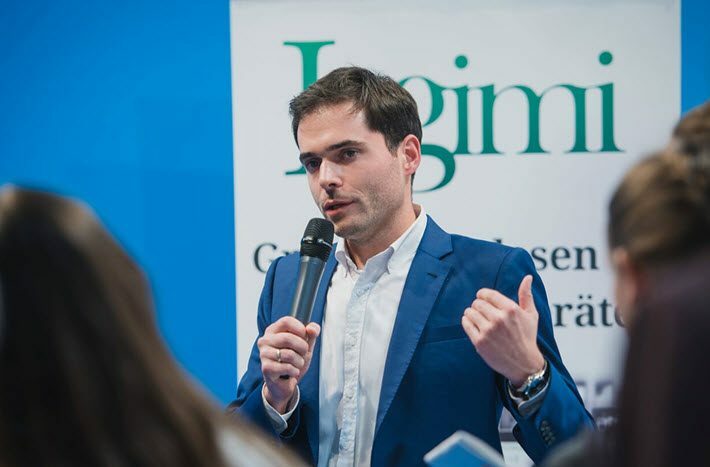 According to Małaczyński, Legimi’s model allows readers to purchase affordable subscriptions that allow them to download unlimited numbers of titles monthly. In its home market in Poland, the company offers four subscription plans, each enabling users to read a limited number of pages each month. For 32.99 zloty (US$8.32) per month, the subscription offers unlimited page-reads to users. The first three plans provide readers with a one-time signing bonus of an additional 150, 500 and 750 pages, respectively. As Małaczyński says, a portion of each monthly payment, ranging between 1 zloty (US$0.26) and 4 zloty (US$1.04) per month, is allocated to the users’ accounts and can be used to purchase books. What’s more, a monthly subscription of 54.99 zloty (US$13.86) for a two-year period allows a Legimi’s user to purchase an ebook reader at that token price of 1 zloty, either an InkBOOK Obsidian or a PocketBook Touch Lux 3. Information from the company says that it has more than 150,000 regular customers, and that its mobile apps have been downloaded over 1 million times. The company’s business model reflects subscription plans offered by mobile carriers, but with collaborative partnerships with Polish-market telecommunications companies. “In Poland,” Małaczyński says, “our subscription model is posting good financial results and continues to generate increases at a regular pace. BookLikes.com is a blog platform that functions in some ways like Goodreads, with reviews, star ratings, and a social-media functionality allowing users to interact and recommend books to other members of the online community. To expand in the highly-competitive German market, Ligimi, Małaczyński says, needs to strengthen its position through its audiobook offer. 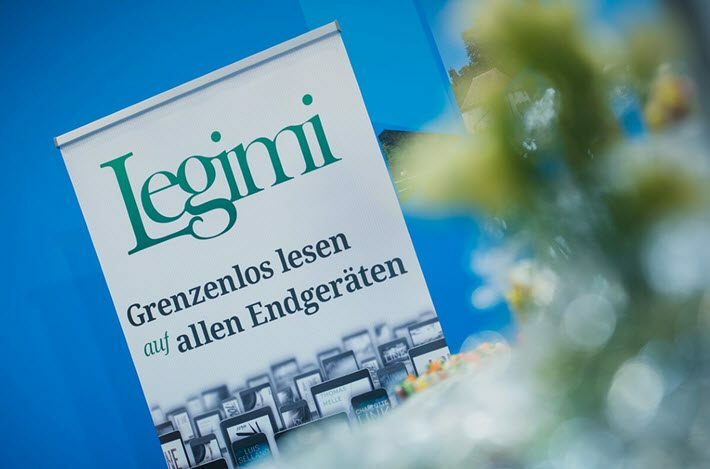 Established in 2009, Legimi is based in Poznań, in western Poland. Małaczyński, who participated in discussions in April at Rüdiger Wischenbart’s Publishers Forum in Berlin, co-founded the company with Mateusz Frukacz who serves as a member of its management board in product development and partner relations.